Singer songwriter Jamie Bernstein has been around the music scene in New Orleans for several years working with the Crescent City All-Stars and fronting his own band J. the Savage. He was born in West Virginia, went to school in Florida and has been in New Orleans since. 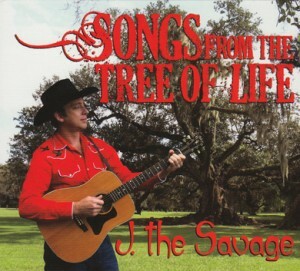 Songs from the Tree of Life, his first release as J. the Savage, is well produced with interesting and well written songs. 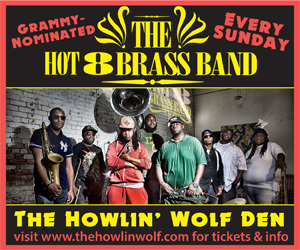 His style is hard to pin down, ranging from his Appalachian influences to New Orleans R&B and funk. If you strip away these orchestrated influences, what you get is folk music, New Orleans stories, anti-war anthems and subtle political commentary. The highlights include “Cajun Boy” who will be fighting the oil war to save his daddy’s farm and “Sorry to Say” with its unmistakable New Orleans sound paying tribute to New Orleans musicians Danny Barker, James Booker, Tuba Fats and others. “Saint Anna’s Wall” talks about the church on Esplanade Avenue where people write the names of those murdered in New Orleans. It’s a moving and emotional song which Bernstein personalizes by suggesting one of the names is a friend with the lyrics “They wrote your name in the sunlight.” “They wrote your name on Saint Anna’s Wall.” It’s an excellent collection of songs that only could have been written in New Orleans. I agree, it is a really diverse range of music in one CD. He is a fabulous singer/songwriter, which is a great feat in modern music, where songwriting is usually pretty weak.